With Valentine’s Day quickly approaching, it’s time to start planning the perfect romantic getaway. Our easy five-step guide will walk you through planning and booking a Valentine’s Day vacation that’ll sweep your special someone off their feet. While Paris may be known as the city of love, Edinburgh packs a serious punch when it comes to romance. 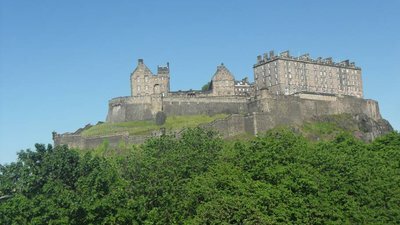 Wander the cobblestone streets of Edinburgh Old Town, sip whisky in front of roaring fires in quaint pubs, or gaze into your special someone’s eyes at a candlelit dinner of haggis and neeps. Edinburgh’s breathtaking beauty makes the perfect destination for a romantic weekend getaway. Plus, the notoriously rainy winter weather is the ideal excuse for spending the whole day in bed. Selecting the perfect holiday apartment is a crucial part of planning a romantic weekend away. You want somewhere luxurious with large comfortable beds and extra perks like a hot tub or an open fireplace. We’ve hand-picked romantic places to stay in Edinburgh to make your job easy. 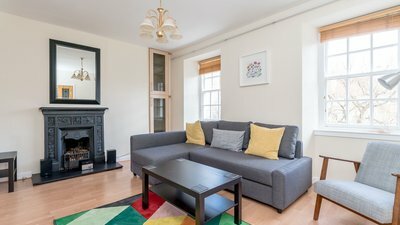 Our Quartermile Luxe holiday let is truly something special. With its hot tub, roof terrace and stunning views, staying here makes it easy to take your relationship to the next level. You can relax and unwind in the beautiful designer teak hot tub while sipping wine and admiring the breathtaking views of snow-capped mountains and Arthur’s Seat. Inside, you’ll find an impressive three bedrooms with dark wooden furniture and stylish design. The master bedroom has a king size bed and ensuite facilities with walk-in shower and freestanding stone bath, perfect for bubbles and Champagne. As a self-catering Edinburgh apartment, the Quartermile Luxe has a fully-equipped kitchen, including a wine cooler, so you can prepare the perfect meal for two and top it off with the finest glass of rose. Step back in time to the original era of romance at The Edinburgh Mews. Built in the late 1800s this holiday apartment was originally a stable for the landed gentry, who would house their coaches and horses here when they came to visit and court the ladies. Today, the Edinburgh Mews offers stunning, city-centre self-catering accommodation. This holiday flat is split between two floors by a sweeping staircase wrought iron railing. One one level is the living room, kitchen and second bedroom on one level and the master bedroom on the other. The master bedroom features a large double bed and ensuite shower room, perfect for lazy lie-ins and breakfasts in bed. Is your special someone an artist? Our luxurious Skyline holiday apartment is an art lover’s paradise. Throughout the holiday let, you’ll find modern as well as classic prints that create a funky, arty vibe. Formerly a Georgian townhouse, this holiday apartment offers the perfect mixture of classic, timeless beauty and contemporary design. 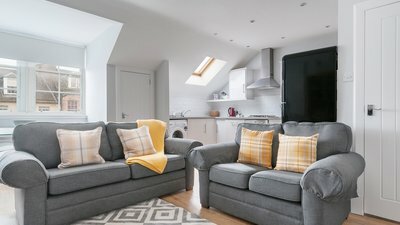 You’ll discover stunning hardwood floors, decorative Georgian fireplaces, as well as a modern kitchen equipped with everything you need to cook a romantic meal. You can spend your evenings playing Scrabble, enjoying a delicious dinner for two or cuddling in the super-king size bed. 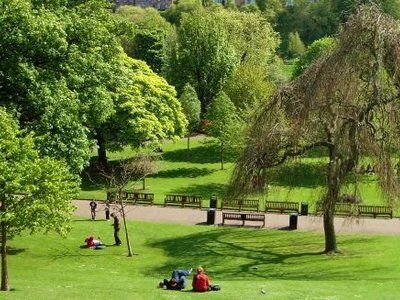 And, best of all, you’ll have some of Edinburgh’s best restaurants, bars and top attractions at your fingertips should you feel like venturing out. With its plush red velvet furniture and sleek black features, it doesn’t get any more romantic than the Burgh Loch. Discover a master bedroom with a wrought iron four-poster king size bed and nearby bathroom with rain shower. The expansive lounge also features plush red velvet furniture, decorative fireplace with candles, and stunning black chandelier. Here, you can admire views over the quiet neighbourhood streets or snuggle on the velvet sofa. We think The Burgh Loch is the perfect accommodation for a romantic getaway in Edinburgh. Many of our properties feature the option to reserve a private chef. Our private chef will come to your holiday flat to prepare the most romantic, picture-perfect meal for you. You won’t need to worry about burning the bread or cooking something boring like pasta. We’ll whip up restaurant-esque private meals for you to enjoy within the comfort of your holiday apartment. Some of our holiday apartments have the option to pre-order flowers or Champagne. When you arrive, a bottle of Scotland’s finest bubbles and a bouquet of gorgeous flowers will await you. It’s the perfect way to start a romantic getaway. We look forward to welcoming you to our stunning city. If you have any questions, please get in touch with our dedicated property manager. Now all you need to do is find a special way to tell your partner about your romantic trip.